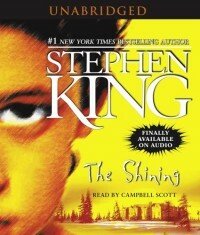 The Shining shows Stephen's exceptional imagination and storytelling. His characters have depth and although the novel is a bit long, it doesn't feel long because he keeps moving the story forward. I love the creepiness and the more screwed up the characters, the better. Whenever I read one of his novels, I want to immediately read another one.